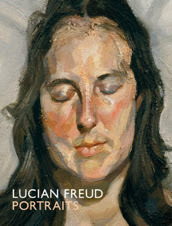 This beautiful book by Yale University Press is a catalogue of Freud's exhibition at National Portrait Gallery in London. One of the most intriguing painters in recent years, his portraits always entice me. It's really interesting to see his style changing as he progresses as a painter. What I like more than anything else is his use of colour for skin tone and his powerful and decisive application of thick paints. Even from the book, you can almost feel it. They all succeed in conveying human emotions in a way that not many painters can do. It contains his etching works as well. I've never seen them before, so that's very interesting to see. With a few fantastic interviews, this book is one of my favourites. I'm really envious of people who have seen this exhibition.